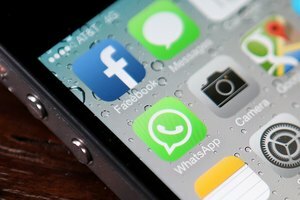 Third-party apps can reveal the number of a blocked caller. You can retrieve phone numbers of callers you have blocked on your iOS or Android device using the default software installed on the phone. You can also install third-party apps that will reveal the numbers of callers, even if they have blocked their identity. Additionally, law enforcement can retrieve Private and Unknown numbers that have called your phone if your life or safety has been threatened. 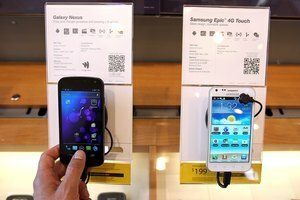 Many Android devices include the stock functionality to enable you to block incoming callers and phone numbers saved in your Contacts list. To view blocked numbers on an HTC One V, for example, open the "Contacts" app, tap the unlabeled Menu icon, select “Manage Contacts,” and then tap “Blocked Callers” to retrieve the list of numbers you have blocked. The name of the call-blocking feature varies based on the manufacturer of the Android device. For example, the feature is named “Blocking Mode” on the Samsung Galaxy S4; view the “Reject List” to see the numbers you have blocked on this device. On the HTC One and the Xperia T, the call-blocking feature is known as “Call Barring.” Check your device’s user guide for instructions to retrieve the list of blocked calls on your Android device, if the feature is supported by default. If your Android phone doesn not support call blocking by default, you can install third-party Android apps like Mr. Number, Call Blocker and TrapCall (see Resources). Mr. Number tracks your blocked numbers, and you can configure the app to automatically hang up on all Private and Unknown calls, or send these calls to voicemail. To retrieve the blocked numbers stored in the app, launch the app, and then open “Blocklist.” To retrieve a blocked number using Call Blocker, open the app, and then tap the “Blacklist” icon. The TrapCall app unveils the numbers of Private and Unknown callers just seconds after the call is received. When an unknown or blocked number calls your phone, the app sends identifying information about the number and caller, if available, to your device. Additionally, you can retrieve blocked numbers from the app’s Blacklist feature. After you have blocked a contact or caller from your Recent Calls list on your iOS device, you can view the blocked numbers from the Settings menu: open the “Settings” app, tap the “Phone” tab, and then tap the “Blocked” option. The list of blocked numbers saved on your phone displays. Tap the “Edit” icon to remove a number from the Blocked list. iOS apps like CIA provide call management capabilities that include call blocking (see Resources). To retrieve blocked numbers, launch the app, and then tap the “Block List” option. To remove a number from the blocked list, swipe the entry to the right or left, and then tap the “Delete” icon when it appears. If you have been threatened or harassed by an unwanted caller, file a report with your local police department. 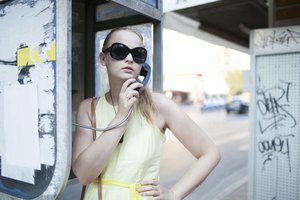 The law enforcement agency can then advise you regarding your options for obtaining incoming call records from your phone company, or tracing your incoming calls. Note that only a request from law enforcement or a court order can produce these types of records from your cellular provider. 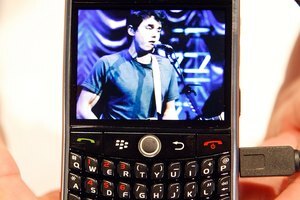 Do You Get Charged for Using Skype on Your BlackBerry? Columbo, Tammy. "Can Blocked Phone Numbers Be Retrieved?" Synonym, https://classroom.synonym.com/can-blocked-phone-numbers-retrieved-19033.html. Accessed 24 April 2019.